But generating good leads versus leads at scale reveals a unique and longstanding challenge in B2B lead generation — there simply isn’t enough hard data — beyond a few generic inputs like title, industry and estimated annual revenue — that allows quality to stand alone as a strategy. The fact is that you can’t generate quality leads without scale. To produce quality at the very bottom of the funnel, B2B marketers need to scale lead generation at the top. Most IT departments have a penchant for globally deleting cookies. Companies also transact on networks that place multiple users and devices at the same IP gateway address. These factors reduce an online B2B marketer’s targeting capabilities to brute force and opt-in. Common B2B marketing targets like decision makers are safely tucked behind a firewall, making it all but impossible to reach B2B audiences with any scale, much less with any precision. But these days, the target audience carries smartphones — a reality that provides a potentially powerful workaround if you know what you are looking for and how to attack the problem. Mobile changes the game for B2B marketers because it allows marketers to reach unique ID’s at identifiable locations. A device ID found at a trade show, for example, can be correlated to an office location and even a home when combined with other publicly available data. As a result, B2B marketers now have the ability to know a lot more about these IDs, so they can create highly personalized engagements around the people, content, context and location that accurately reflects the buyer’s needs and where they might be in the purchase cycle. The cornerstone of the B2B journey is the company website. With mobile ID’s, precise location targeting and cross-device identity management, visitors to a website can now be linked back to the business of the visitor, the device of the owner and even the person in the household. Armed with a universal ID, more robust customer profiles can be built around people and the context of the pages visited on the site, allowing personalization around life stages, professional roles, industries, locations and even in-hand devices based on time of day. In a perfect world, leads map to the buyer’s journey precisely. Unfortunately, we don’t live in a perfect world. Good leads can turn out to be duds, and people who don’t behave like prospects at all can turn out to be your very best customers. Historically, B2B marketers have tried to take all the risk out of B2B by investing only in SEO. The reality, however, is that SEO is only good at cherry picking those interested parties that happen to come across your site. SEO does nothing to generate demand. Today, we can address the demand problem at scale through pre-qualified audience identification. We can fill the top of the funnel with empirically qualified and identified prospects by converting site visitors, company network IPs and mobile devices to business identities and prospects. We can transform passive B2B tactics — SEO, social inbound and many aspects of account-based marketing and turn it into proactive demand creation and lead gen at scale. 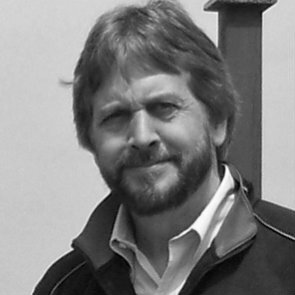 Ray Kingman is the CEO of Semcasting, an advanced IP audience targeting company. Since its inception, he has led the company in the development and commercialization of its automated targeting and data offerings. As an experienced innovator in content management, analytics and data visualization fields, Ray directs the day-to-day operations of Semcasting.